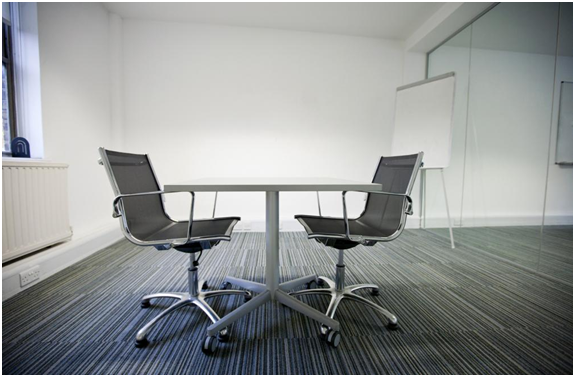 For most Bakersfield office spaces, carpets are often the flooring of choice. They deck our workplace with the executive of the culture. They help reduce noise. They provide indoor insulation in the cold winters of our beloved city. Yet, we tend to neglect them. Our day-to-day in-office commute and activities subject our office carpets to abuse and heavy traffic, which adversely affects their durability, longevity and health. The once flooring of choice, gradually reduces into an unwanted stretch of mustiness and wear and tear. We order a new one and get it replaced. However, this means re-carpeting your entire office floor and the underutilization of an asset that was meant to serve us more. Plus, it also adds to the company’s ever-growing list of overheads. This can be avoided if you get your office carpet cleaned from a professional carpet cleaning service, every now and then. How will you know that your office carpet needs professional cleaning? Look for these 5 signs. Sign #1: Are There Any Noticeable Traffic Tracks? With everyday usage, oil and dirt—accompanying the heavy traffic—starts saturating the fibers of your office carpet. This leads to premature wear, characterized by noticeable traffic tracks found across the surface of the carpet. Sign #2: Is the Color of Your Office Carpet Fading? This requires a close inspection. Don’t be tricked by the overall appearance of your office carpet. Because, a clear prominence can only be established in the case where your carpet is yelling to be replaced. You need to act before that. If you find any signs of discolored patches, it is a clear indication that your office carpet needs professional cleaning. Sign #3: Does It Smell? Allergens like dust mites, mold spores, dander, bacteria etc. often tend to gravitate towards surface-deep of carpets. With the passage of time, these allergens build-up and start producing an unpleasant odor. If you find your office carpet to be emitting a dirty or musty smell, get it cleaned from a professional carpet cleaner in Bakersfield. Sign #4: Are There any Permanent Stains? That coffee spill; that dripped mayo – these stains if left untreated on the surface of the carpet, can develop into permanent stains. Most of the permanent stains can prove to be too-stubborn for in-office cleaning solutions. If there are any permanent stains on the surface of your carpet, you should get it professionally removed. Sign #5: Are There Any Signs of Delamination? Whenever a carpet experiences water damage, your carpet characteristically communicates it by exhibiting signs of delamination. A water damaged carpet, if not cleaned and treated, can cause the growth of mold. This can be harmful for the structural integrity of the office building, as well as for the health of the employees working in your office. Does Your Office Carpet Needs Professional Cleaning? Excellent Janitorial Service and Carpet Cleaning can help you. We provide reliable and affordable carpet cleaning services in Bakersfield, CA. Our clientele includes businesses and homeowners. By using an experienced in-house staff and high-end equipment, we will make sure that your office carpet is thoroughly cleaned, without being damaged in the process. To contact us, please click here.